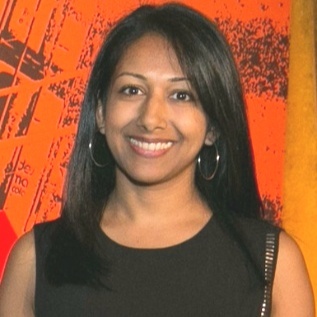 As Provoke17 approaches, we took the opportunity to speak with Aarti Shah, Head of Strategic Partnerships, COO, and Senior Editor at The Holmes Report about diversity, augmented reality, and what she’s looking forward to at the conference. As VR and AI become increasingly integrated into our daily lives, what can communications professionals do to stay ahead of the curve? Already, there are brands that are making some strong use-cases for VR and AI — last year at the Innovation SABRE Awards, we saw an example of a healthcare company using VR at a trade show so that nurses could test a new product in a virtual environment, car companies doing virtual test drives, hotels allowing travelers to explore the rooms. Additionally, consider how ubiquitous the Amazon Echo is in people’s homes now. The pace of instant gratification is accelerated to new heights now. PR professionals should be paying attention to the way these technologies are shifting our expectations and ultimately the impact this will have on how and what we — as a society — respond to and engage with. Diversity is an asset and the only way to truly grasp, and leverage, its value is by creating inclusive environments — not ignoring it. How has diversity played an integral part in shaping our new reality? This is a big question — but really, the numbers speak for themselves. Looking specifically at the United States, it’s the most diverse that it’s ever been and this is being reflected in ways that it’s never been — in the media, in boardrooms, among influencers. I was talking to some agency people recently who said when they hire, they don’t see color. And my response to that is — why not? Brands see color. We’re seeing more diversity in advertising, we’re seeing brands asking agencies to bring them diverse teams to even be considered for their business. Diversity is an asset and the only way to truly grasp, and leverage, its value is by creating inclusive environments — not ignoring it. And given the discouraging political environment around diversity, it seems that many consumers are looking for brands to step up and take more of a leadership role, as we saw in the aftermath of the Charlottesville riots. What are you most looking forward to as we move into the closing weeks leading up to Miami? Last year PRovoke took place two weeks before the U.S. presidential election. The mood at the conference was largely that a Clinton presidency was inevitable and business would, more or less, go on as usual. This year, the conference is happening almost a year after Trump’s shocking win — compounded by political upheaval around the world, natural disasters and generally a pretty dire news cycle. This is a new world that brands are operating in — I think Paul Holmes said it best in January: neutrality will not be an option for brands in this new era. I’m really interested in hearing how brands are navigating this volatile reality. It feels like a very different world from when we all descended upon Miami in 2016.